When Another Earth debuted in January 2011 it quickly became the darling of the 27th Sundance Film Festival. Therein, it won the Alfred P. Sloan Feature Film Prize, a Special Jury Prize, and was nominated for the Grand Jury Prize. Since then the film has found praise from the Chicago Film Critics Association and the American Academy of Science Fiction, Fantasy & Horror Films. But like many independent science fiction films, Another Earth has cobbled surprisingly little traction within the entertainment mainstream. Perhaps this tragic neglect is due to the film being pigeon holed as a science fiction story – not that there is anything wrong with that. While there are some obvious sci-fi elements to the plot, at its core Another Earth is a contemporary story about loss and redemption. Another Earth uses tragedy to weave together the lives of two people. Rhoda Williams, played by the film’s co-writer Brit Marling, is a brilliant high school student bound for MIT to study astrophysics. John Burroughs, played by William Mapother, is a composer and professor of music at Yale University. On the night that a second Earth appears in the sky, Rhoda is driving home drunk from a party where her friends had been feting her good fortune. During the trip Rhoda’s attention gradually shifts from the road toward the stars until her vehicle smashes into Burroughs’ parked car, killing Burroughs’ toddler son and pregnant wife. After serving a four year prison sentence, Rhoda returns to her childhood home and struggles with finding a way to carry on after committing an unforgivable act. With a description like that, it would be all too easy for Another Earth to descend into maudlin banalities: hissy fits, wailing, cursing the universe for its unfair machinations, and an eventual forgive-and-forget happy ending. Yet even when John and Rhoda are at their lowest, their agony comes with a certain stoicism. Rhoda’s early in the film attempt at suicide is that of a person who wants nothing more than to lay down and go to sleep, forever. Burroughs’ inner anguish is manifested through the ruin that is his home. This particular metaphor is made all the more acute when Rhoda’s first contact with Burroughs transforms from a planned admission of guilt into an offer to clean his home. As she gradually pushes back the dirty dishes, mouldy take out, and perennially dirty laundry so too does Burroughs true nature begin to emerge from his self-imposed exile. It’s not the most subtle of character shifts, but at the very least it’s an honest display of heartbreak, contrition, and recovery – perhaps more honest than the audience would be willing to admit given the pretensions of sadness that propriety demands people wear in such situations. The film also resists the temptation to make the other Earth a focal point for endless philosophical discussion. There are no scenes where characters wax poetic on which planet is the real Earth. Neither is there the sort of existential crisis that one might expect from the sudden appearance of a second earth, apparently populated by a parallel civilization. Instead, the other Earth acts as a point for inner reflection. The central question to that mediation, point in fact, is deceptively simple: “If you met another version of yourself, what would you say?” In that, Another Earth makes explicit the sort of judgmental conversations that we have with ourselves on a daily basis. The second Earth is a beautiful metaphor, as well as a stunning special effect, for humanity’s collective doubts, anxieties, hubris, vanity, hopes, and fears. Throughout the film the second Earth looms omnipresent in the sky as something infinitely more tangible than the alternate realities promised by multiverse theory. It is a constant reminder of that which is and that which might be, but it’s never so intrusive as to steal a scene or undermine the inner conflicts of the central players. Arguably Another Earth is a perfect example of what science fiction can do as a means of relating a sophisticated yet universal story. If only to appease the pedants, there are snippets of audio throughout the film that attempt to offer a plausible explanation for the sudden appearance of a second Earth within our solar system. However, the core story draws upon this single fantastic event to reflect upon some of the most common elements to the human condition. There are no dogmas, political systems, or easy answers within Another Earth’s runtime. Instead, there are only questions, best guesses, and flawed ventures into negotiating impossible situations. The combination of outstanding acting from Marling and Mapother pairs with the rarest sort of honest writing wherein the script does not follow the usual path of inviting the viewer’s sympathy. Instead the story creates an environment where the audience is free (maybe even encouraged) to react with the entire spectrum of their emotions. All the while, the dialogue poses questions that will inspire self-reflection well after the credits have rolled such that the narrative is never a litany of base appeals to emotion. Thus the movie is no simple tragedy; rather Another Earth is best understood as a slice of contemporary realism. 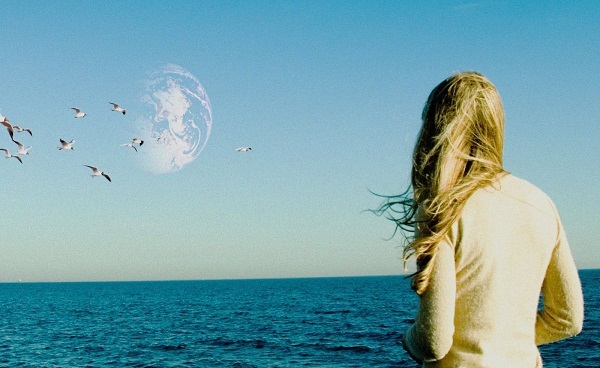 Another Earth is elegant, honest, and thoughtful but never condescending or pretentious. The film is catalyzed by an event that is traditionally within the realm of science fiction, but the story is, perhaps purposefully, conventional and terrestrial. 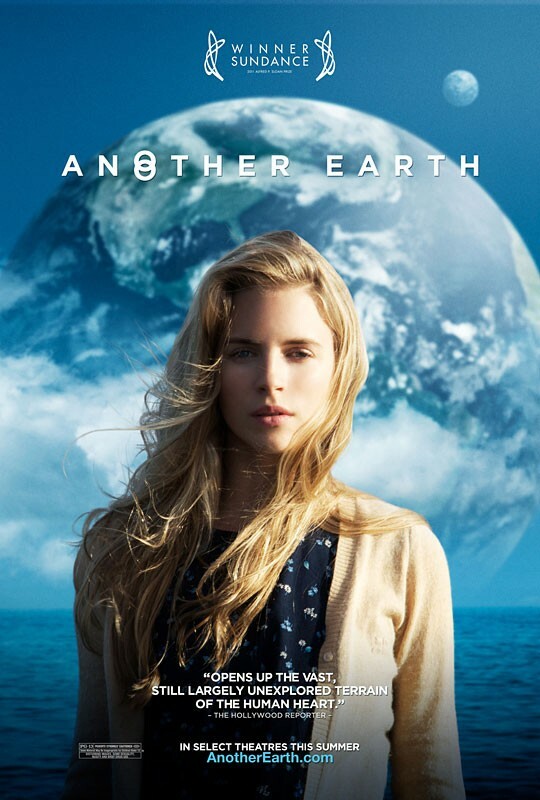 If Moon was the hidden sci-fi gem of 2009, then Another Earth is certainly such a film from 2011. Which planet first builds a Death Star to destroy the other? That happens in the next movie.